Turkey's investments in renewable energy will account for 15 percent of the 141,000 megawatt capacity increase in Europe expected by 2020, according to a report by the International Energy Agency. Renewable energy in Europe is expected to grow 0.8 percent annually until 2020, and nearly half of the growth in demand for power will come from Turkey, the report says. Economic growth, an increase in income per capita, and rapid urbanization are the primary causes of the increasing energy demand in Turkey. In order to meet some of the power demand in Europe, 141,000 megawatts of capacity increase in renewable energy is expected by 2020, according to the report. In 2013, Europe produced 1,095 terawatt hours of electricity from renewable energy sources, accounting for 30 percent of total electricity production, the report says. And 1,400 terawatt hours of electricity production from renewables is expected by 2020, and renewables will make up 36.5 percent of total electricity production, the report says. 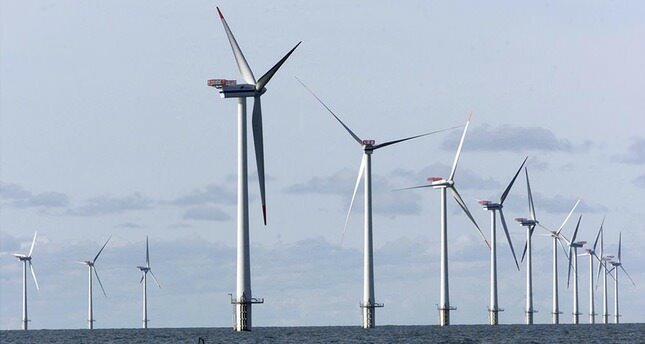 It predicts that wind power will account for 40 percent of the production increase by renewables. A terrawatt is equivalent to 1,000 gigawatt hours -- or 1 trillion watt hours. According to the online Energy Business Review, 1.5 terrawatts is enough to run the London metro system for 10 years. Germany, the U.K. and Turkey are expected to assume more than half of the renewable electricity production in Europe by 2020, according to the International Energy Agency. Turkey will account for 15 percent of the increase in the use of renewables, including hydro, wind, solar, bioenergy and geothermal, report says. Turkey's renewable capacity of 24,300 megawatts in 2013 is projected to reach 38,800 megawatts in 2020. Turkey aims to add 50,000 megawatts to the currently installed power capacity of 68,236 megawatts by investing $122 billion by 2023. Turkey aims to reach installed capacity of 120,000 megawatts in nine years, according to Energy Minister Taner Yıldız. Renewables' share in electricity production is targeted to rise to 30 percent in 2023, according to the government of Turkish Prime Minister Ahmet Davutoğlu. In accordance with the 2023 goals, wind power is aimed to reach 20,000 megawatts, geothermal to reach 600 megawatts and solar to reach 3,000 megawatts, Davutoğlu said.